New Delhi: Dr Harjit Singh Wander, former Professor and HOD Medicine at GMC Patiala died on Tuesday, March 6, 2018, at the age of 91 after a prolonged illness of sequelae of head injury. Dr Harjit Singh Wander was born on 10th July 1926 in a remote village of Fazilka and studied in the village school till his matriculation. 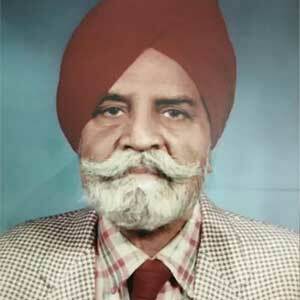 He graduated from Government Medical College, Amritsar in 1953 as the best graduate of the batch. In fact, he was a rare combination of being the best athlete of the college and the best graduate. During his premedical days, he was selected in the United Punjab Team and stood third in 5000 meters at the All India Athletic meet. He did MD in medicine in 1958 with a special interest in haematology. In 1962, he joined Government Medical College, Patiala as a consultant in medicine where he rose to become Professor and Head of the department of medicine and Vice Principal of the college. He was loved by his students for his passion to teach, hard-working and disciplined nature and wish to serve patients. He had 48 publications in reputed national and international journals to his credit and guided numerous MD thesis. He spent one and a half year as commonwealth fellow in Australia in the field of haematology. He retired from service in 1984 and continued to run charitable clinics and deliver public lectures at various senior citizen forums.